Holiday is almost over, and tomorrow is the start of school's second semester. Time flies too fast. Darn it that I have been used into waking up past eight already. Today lovelies lets forget about tomorrows as I will praise a new soap I have discovered a few weeks ago. I got this last Watsons sale and I am very happy that I did. 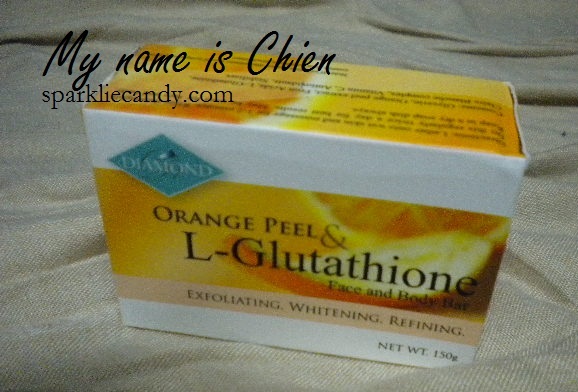 Representing...Diamond Orange Peel and L-Glutathione soap made by Harmony and Wellness. My first lemming was the Glupa soap but since the feedback has not been so good as this I changed my mind. This orange peel soap is a sister soap of carrot shullamite soap which is also raved in GT. Below is the snapshot of the soap box. This soap weighs 150g. there is no smaller or bigger size than this. As expected the soap is orange in color. Bubbles! The soap is pretty bubbly and I like that is like that because I can massage those to my face and body as instructed in the box. At first use it stings but after days of using it my skin eventually became used to it and the sting sensation was gone. There was micropeeling effect in the 4th day (that was fast!) and I noticed that my skin lightened a bit (not dramatic though but its continuous). There were 2-3 pimples that came out after using this soap but they say its the purging stage so I ignored them. The soap dried and healed them after 3 days and there is no dark acne scars traces left. I noticed too that I became less oily and acidic since I have used this soap. I am also one of the girls who has open pores and Im glad that my pores tightens every time I use this and I hope to get better results after prolong use of this. What makes this soap effective is in the special contents. Clair Blanche --combination of 7 active ingredients to delay melanin formation and process of pigmentation. All of this in just one soap? Yes! Got this one sale around Php 128 but I think the real price is P148? Correct me if I'm wrong. Gomen ne~ I guess price is reasonable enough because it works and it wont easily melt despite using it twice a day. My scars does lighten with every use. I became less acidic and oily. The purging stage aka adjustment stage of skin to the new product. Stinging sensation at first usage. Yes! Along with its popular sister Shullamite soap! Dont use this soap along with any bleaching creams, soaps or you'll experience chemical reaction and you will have burnt skin. Be extra cautious when you are using acid soaps. That's my soaperrific post for today, stay tuned for my bon voyage post next time Lovelies! Hi Chien, can I use this soap if I'm breastfeeding? Hi Joann I do not really recommend using any whitening products for breast feeding mothers but better ask your doctor to make sure. hey ! how many days po does it take to peel a skin? your skin po peel so fast that only takes 4 days to peel. hi! is it okay if i put *topgel* cream on my face after i use this soap? it's my first time to try this.. i've been using topgel as moisturizer..
hello. nice blog!.i've been using this for three weeks. i want to ask if this is safe together with cyleina black pearl??. i had good experience with black pearl, and same with this soap. hoping for an answer. more power to you!. God bless. I haven't tried alternating soaps when I used this but as I guess as long as you don't experience any severe dryness it will be fine. 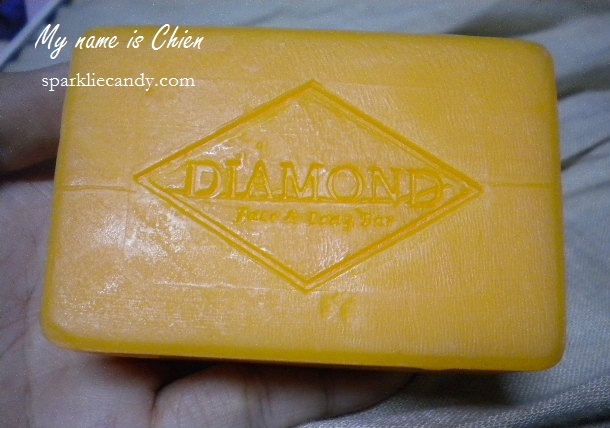 I am quite satisfied with Diamond Orange Peel soap alone though. Thank you so much for the response. I want to ask if are there much better soap than this dop. I'm kinda desperate now coz im facing some discrimination and low self esteem Issues. I have lightened though with kojic and black pearl but i want more pa sana. My skin is kinda in between being fair and light brown.. i hope you can help me coz you seem to be like an expert. God bless you madam!! To answer your question naman, other effective whitening soaps I've tried is Psalmstre Placenta and Kojic balls from Beauche. TIP: Never forget to use sunblock when you are going out. Sensitive ang skin and mas madali tayong umitim when using whitening products. hello. i'm planning po bumili ng soap na to, kasi i have pimples din po. 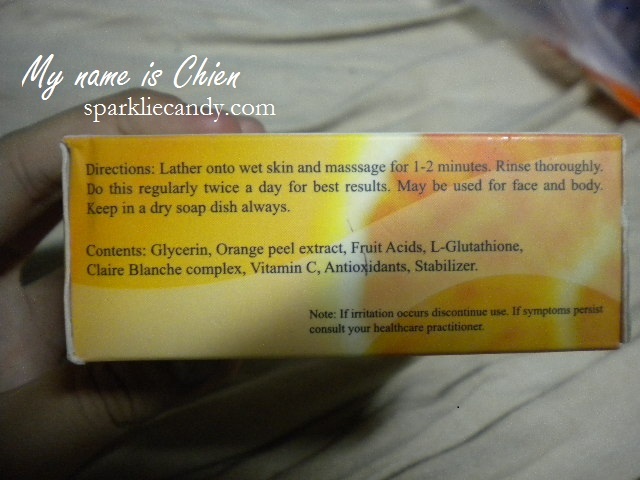 lahat na ata ng soap na try kuna pero no effect.. sana po tlga effective to..thanks to this blog. ma try nga. update ko kayo if ever anu man result..
Hi. I've been using this product and now its been my 5th day. Pansin ko lang, may pimples coming our 2-3 Pimples. and every time it disappeared a new pimple pop out. -_- parang walang katapusan po eh. ganyan ba talaga? How much days or weeks pa po para wala na talagang pimple na mag a-appear? Hi, saan po kaya pwedeng makabili nito? kasi nagtingin na ko sa ibang supermarket at watsons pero wala. Ngayon yan gamit ko soap hinati ko siya into 4 pieces..Pang 2 weeks na ako unting-unti humuhupa maraming pimples ko every time ginagamit ko ito naglighten ang pimples ko grabe ha akala ko walang effect ito lang yata soap nakalighten ng pimples marks or scars.Marami ako nagamit pero bumabalik parin pimples ko pero ito hindi..Love ko na yata soap tinubuan parin ako pimples pero nag heal agad siya cguro pinalinis niya at pinaalis niya dumi sa loob ng mukha na nakabara.Ang galing parang banat yung mukha mo at naging fine yung balat ko sa mukha sa body nagustuhan ng hubby ko sabi niya kahapon bibilhan ko sana siya GT Carrot Soap yan kasi gamit niya since 2009 pero sabi ayaw na niya mas gusto na niya Si Diamond Orange Peel na amaze siya within 2 days lang ha gamit niya pinatry ko sa kanya yung ubos niya Gt Caarot soap..mas nagustuhan niya result ang Diamond Orange Peel hahahahaha mahal nga pero sulit effective at malaki siya...Try nyo di kayo magsisisi puputi ka talaga at ang kinis ng balat tingnan parang pinkish glow ang dating...! Share ko lang 2 weeks pa lang ako gumamit at ito na gagamitin ko forever he he he..!